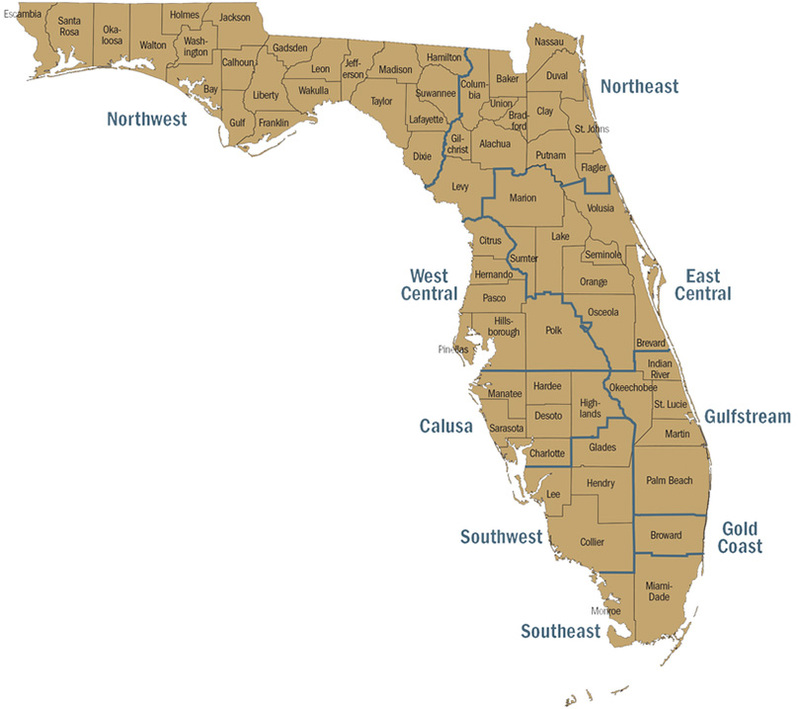 Leadership Florida divides the state into nine regions to better serve its membership. Each region is governed by a regional council which is led by a regional chair. For information about each region, click on the name in the map below.